Data centers use a lot of power, have a lot of equipment and run around the clock. With so much going on in data centers, circuit breakers have a lot to manage and can easily become overloaded without proper attention, maintenance and regulation. When a circuit breaker gets overloaded, an arc flash can occur. If you are not familiar with what an arc flash is, you should be. Why? They are very dangerous and pose significant risk to data centers. The Workplace Safety Awareness Council explains what an arc flash is and why it should be avoided at all costs, ” Simply put, an arc flash is a phenomenon where a flashover of electric current leaves its intended path and travels through the air from one conductor to another, or to ground. 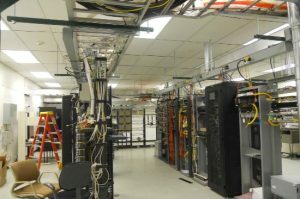 The results are often violent and when a human is in close proximity to the arc flash, serious injury and even death can occur.” This is an understandable concern for data center managers because an arc flash could endanger data center employees and possibly damage data center equipment and infrastructure. To best achieve circuit breaker protection and prevent arc flashes from occurring you have to begin by protecting the circuit breaker from overload. You have to assess the load, and then size the load to what each circuit breaker can manage. With monitoring and the use of today’s technology the load the circuit breaker is experiencing can be assessed, monitored and tweaked as needed. While this is a small solution, it is not a complete solution because it does protect from significant arc flashes. Next, protection must be implemented for branched circuit breakers to ensure that there is no upstream or downstream problems if a circuit breaker is tripped. Through the use of tools like ZSIs, or zone selective interlocking systems, circuit breakers can better communicate with each other. Upstream and downstream circuit breakers communicate with each other so that, should a problem occur downstream, it can send a message to upstream circuit breakers to wait until the problem has been cleared. When you better manage circuit breakers you protect your data center from downtime as well as other significant concerns such as injury to workers and damage to property. All of these things cannot have a price tag put on them, they are truly invaluable. In addition to implementing effective systems to protect circuit breakers from becoming overloaded or experiencing arc flashes, it is important to properly train personnel so that they know how to assess and maintain circuit breakers and know what to do should a problem occur. This entry was posted in Data Center Battery, Data Center Design, data center equipment, Data Center Infrastructure Management, Datacenter Design, Power Distribution Unit, Power Management and tagged data center design, data center maintenance. Bookmark the permalink.